The Reindeer Dragon's affection for holiday music is simply preposterous. This trainer has resorted to wearing earplugs in the dragon's presence, and still cannot remove those cheerful melodies from his mind. 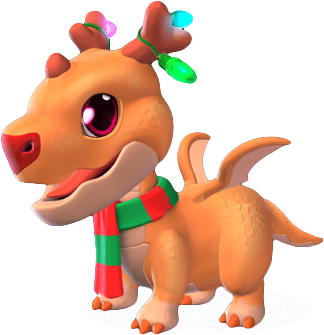 The body style of the Reindeer Dragon is saurian. It is light orange in color with a creamy peach underbelly and lower jaw. It wears a green and red-striped scarf around its neck, along with Christmas lights around both of its antlers. Surprisingly, unlike its name, its antlers don't resemble the antlers of an actual reindeer. 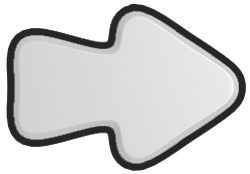 Instead, they are rather short in length and thick in width, giving it the look of a young reindeer, and there are three visible prongs on each one. Its antlers are an orange-brown color, and it also has a short, blunt horn jutting out from its forehead. The nose is a bright red and it has hot pink eyes. 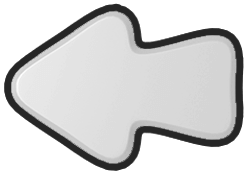 There is a pair of small orange wings upon its back which consist of only two wing bones, and the flaps in between are of a light peach color. Its feet are covered in a thicker fur in the same light peach and each foot has three small orange toenails. 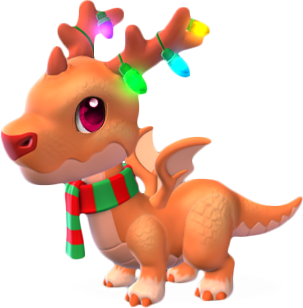 The Reindeer Dragon is an Event-Only Dragon which can be obtained most frequently through one or more of the various events within the realm of Dragolandia. 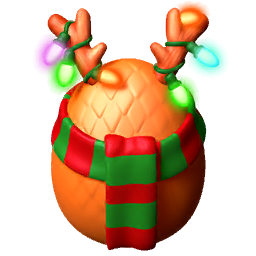 Once this Dragon is obtained and then subsequently housed on an island, duplicate eggs can be purchased through the Dragon Codex in exchange for 3,200 Gems. Breed the Earth Dragon with the Coral Dragon. Choose the Plant Dragon and breed it with the Rust Dragon.